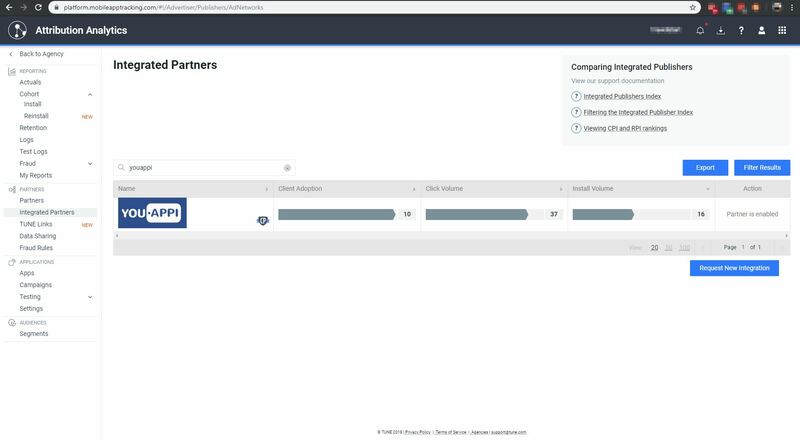 Integrated advertising partners are partners who have already given us the information they require to ensure you can work with them seamlessly. 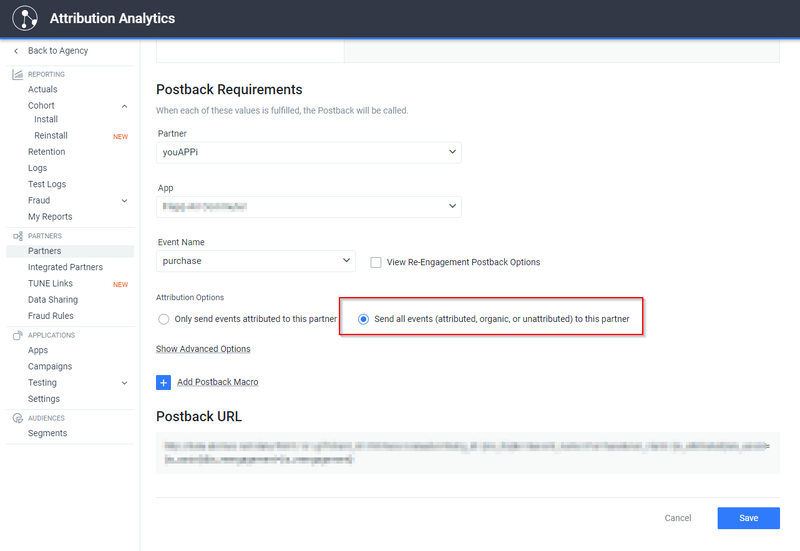 If you have a partnership with one of our integrated advertising partners, setting them up in your Attribution Analytics account is a quick process that only requires three steps. 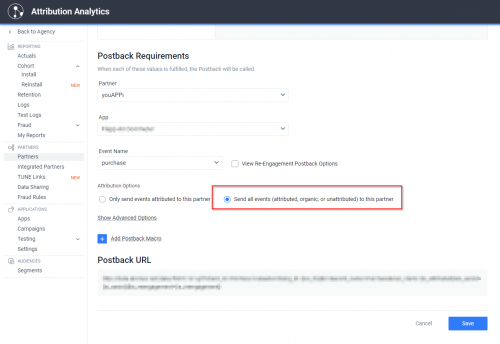 Note: Advertising partners may have other requirements outside of Attribution Analytics you also need to fulfill. 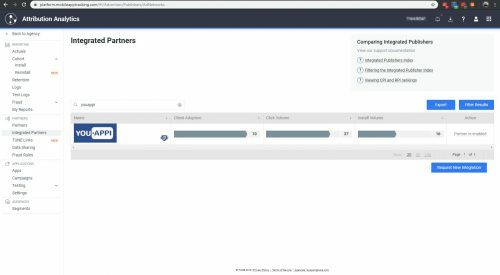 In Attribution Analytics, select Integrated Partners from the main navigation menu. After finding YouAppi, click the Enable button. Repeat action item #4 for all “install” postbacks.